Anthony "A-Rod" Rodriguez spent his second consecutive week of racing in Decatur, Texas at Oak Hill MX. 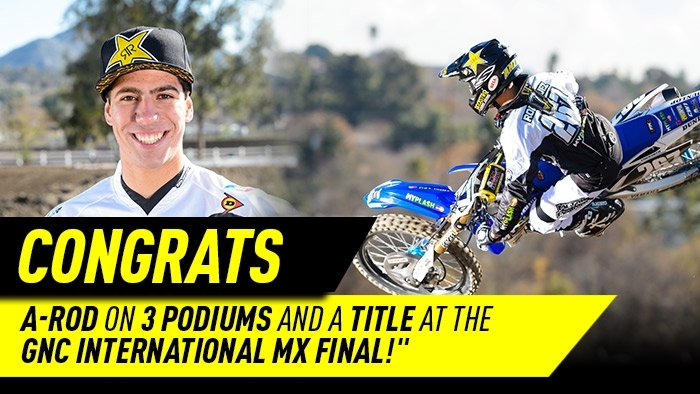 Rodriguez gathered three more podiums at the GNC International Motocross Final. A 1st in 450 A mod, 2nd in 450 Pro and a 3rd in 250 A mod.